The New People’s Army celebrates its 45th year anniversary on Saturday, March 29. A former prisoner recalls an ambitious plot to escape from Fort Bonifacio. MANILA, Philippines – Sometime in October 1974, two army troopers playing a game of chess in the barracks located by the side of the maximum-security prison facility in Fort Bonifacio known as the Youth Rehabilitation Center (YRC) first heard the faint sound of a metal tool, perhaps a pick-ax, chipping away at solid concrete amid the roar of vehicles speeding towards either Makati or Pateros along the Guadalupe-Pateros road. The soldier armed with an Armalite assault-rifle posted at the watchtower about 12 to 15 feet from the ground could not have observed anything amiss or irregular inside the prison yard. There were, after all, only small groups of detainees milling about and engaged in conversation, others doing chores in the garden or washing clothes near the basketball court, at any given time. The army troopers were said to have reported the mysterious subterranean noise to their superior officers. But prison authorities did not immediately order a complete lockdown of the detention facility, quite possibly to catch the detainees in the act of actually digging the tunnel and thus confirm their suspicion of a planned escape attempt. Instead, the military obtained confirmation of a tunnel being dug at YRC from another source: a raid on a safehouse in Valenzuela where they arrested several high-ranking leaders of the Communist Party of the Philippines (CPP) and seized voluminous documents. Among the documents were a detailed plan of a mass escape by more than 100 political detainees at YRC. Military headquarters then wasted no time to foil the planned mass escape. It was on Sept 21, 1972 when Ferdinand Marcos declared Martial Law and plunged the entire nation under authoritarian rule for 14 long years. Hardly had the ink dried on the Martial Law declaration when combined military and police operatives swooped down on the known residences and offices of members of the political opposition, among them Marcos’ arch-political adversary, Benigno “Ninoy” Aquino, along with Senator Jose Diokno and prominent media personalities who had been critical of the government. The military also rounded up blacklisted radical activists. 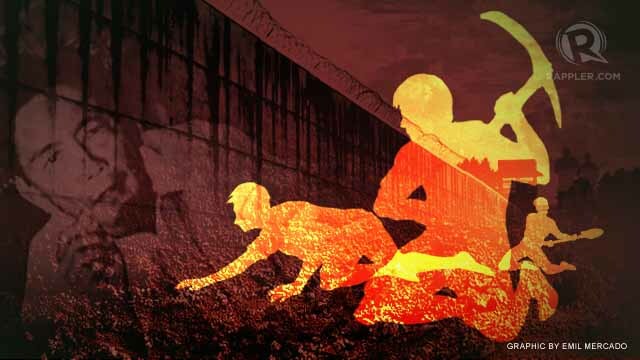 Soon, even innocent civilians with the slightest connections to the underground resistance movement were hauled off to 3 main detention centers in Metro Manila: Camp Crame and two separate facilities in Fort Bonifacio: the YRC and the minimum-security Ipil Rehabilitation Center (IRC). Ninoy and a few others were held in a separate maximum-security facility within the army camp. Political dissenters arrested in other parts of the country were often sent to the 3 main detention facilities in Metro Manila after brief stints in the cramped detention quarters of the arresting units where they invariably underwent various forms of physical and psychological torture during interrogation. YRC held mainly political prisoners as well as common criminals and some military detainees. All in all, there were about 150 to 170 political detainees in YRC in 1973-74. The majority of the political prisoners at YRC consisted of those identified with the national democratic movement. They were confined in two big cell blocks. Other smaller cells contained 4 detainees each. Former Kabataang Makabayan (KM) national chairman Nilo Tayag was the highest-ranking political detainee as he was said to have been the general secretary of the CPP at the time of his arrest. Leoncio Co, KM secretary-general, was arrested and detained even before the outbreak of the First Quarter Storm, the series of demonstrations in January to March 1970 that popularized the slogan, “Makibaka, Huwag Matakot” (Fight, Be Not Afraid!) and brought the anti-imperialist, anti-feudal and anti-fascist character of the national democratic movement to a broader segment of the population. Another KM secretary-general, Luzvimindo David, was arrested after the suspension of the writ of habeas corpus in August 1971. Fluellen Ortigas, a Ten Outstanding Students of the Philippines awardee in 1968 and a member of the KM National Council, kept the other radical leaders company in the small cells that each contained 4 detainees. He now says he was personally recruited into the KM and the revolutionary underground by no less than Jose Ma. Sison, the founding chairman of the CPP. He kept a pet monkey named Hadido while confined at YRC. Another KM national council member was Tony Tayco from Lyceum University whose girlfriend then, Babette Estrada, turned out to be a military deep penetration agent. KM spokesman Eufemio “Nonie” Villanueva was a firebrand who agitated rally participants before Martial Law to proceed to the US embassy, where invariably pillboxes or miniature improvised explosive devices were thrown at the gates. He named his son Rebolusyonaryong KM. Among the other radical leaders detained at the YRC at the time were Abelardo Hurtada, said to be the leader of the New People’s Army (NPA) in Western Visayas. 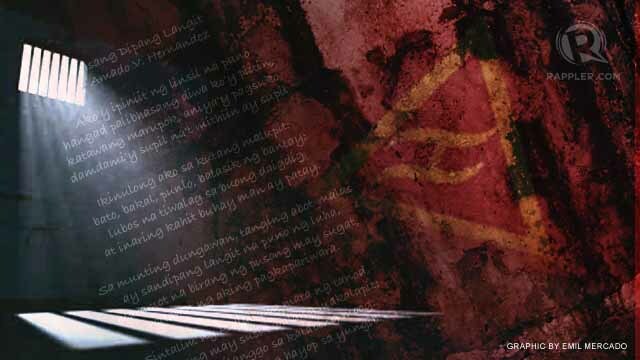 Alex Rebosura was another NPA commander from the same region, while Abring Aydinan from northern Luzon was a ranking cadre from whom the so-called “Tarimsing Document” supposedly detailing planned terrorist activities by the NPA was seized. Jerry Araos was a ranking leader of the Samahang Demokratiko ng Kabataan (SDK) and later an NPA commander in Isabela. He was arrested by intelligence operatives while dining at a restaurant in Cubao, Quezon City. The area where the restaurant was located is said to have been encircled by several truckloads of troops armed to the teeth with high-powered rifles as Araos was believed to be armed and dangerous. Tony Robles from Tondo used to head of one of the two platoons of armed city partisans (ACP) of the CPP’s Manila-Rizal regional party committee before and during the first few months of Martial Law. Ramon Veluz headed the other ACP platoon before his arrest. Cris Aranda, a student leader at the height of the First Quarter Storm, was arrested in Nueva Ecija where he went into hiding after the Martial Law declaration. The spokesman of the SDK before Martial Law, Reynaldo Vea, was a consistent scholar at the University of the Philippines. Others from UP detained at YRC at the time were Jerrold Garcia, a physics graduate. Another leading SDK member and former UP student, Benito Tiamzon, was also in our cell block. Mario Saldaña managed to keep his real identity a secret the whole time he was detained at YRC. The NPA guerrillas detained at YRC included Ariel Almendral who had a gunshot wound from an encounter with the military and walked with a limp. Former UP student Conrad Andres was also arrested in Isabela. Members of the explosives movement and leading cadres and ordinary activists from Pampanga, Baguio and Western Visayas were also sent to YRC. I was arrested at our family residence in Quezon City on June 16, 1973 by elements of the 5th Constabulary Security Unit (CSU) of the Philippine Constabulary on the basis of an Arrest, Search and Seizure Order (ASSO) issued by the defense department for alleged violation of RA 1700, or the Anti-Subversion Law. I spent 10 days at the CSU detention cell while undergoing “tactical interrogation,” which included third-degree methods aimed at extracting information that would have enabled the military to conduct more arrests. After a harrowing ordeal at the CSU and at the National Intelligence and Security Authority (now renamed the National Intelligence Coordinating Agency or NICA), I was transferred to YRC and spent another 10 days in the bartolina or isolation cell before being transferred to a cell block that held about 40 to 50 detainees at a time. Apart from CPP cadres and activists, media personalities were also detained at YRC. Hard-hitting radio broadcaster Roger Arienda kept Tayag and the other KM leaders company in the smaller cells. He spent many hours playing chess with Jesus Lava and became a born-again preacher while under detention. There were also Rolando Fadul and Bobby Ordoñez, two journalists from the pre-Martial Law media. Manny de la Rosa was a broadcaster from Bicol who, one night as we prepared to go to bed, slashed his wrist and was confined in a military hospital. He was later released for humanitarian considerations. Other prominent detainees at YRC were Dr Nemesio Prudente, president of the Philippine College of Commerce in Manila, which became a hotbed of activism in the early 70s. Tonypet Araneta, the estranged husband of Gemma Cruz Araneta, practiced yoga in the loft of the prison facility. Tonypet’s younger brother Enrique, nicknamed “Iking,” was also confined at YRC. Those outside the Natdem circle detained at YRC included Teodosio Lansang, a Marxist professor at PCC and an acknowledged expert on Russian history. Manuel Martinez, a former Con-Con delegate, was fond of shouting French President Charles de Gaulle’s famous statement, “I am the state, I am France, follow me!” during light moments. Four priests were detained at YRC at the time. There was Jesuit priest, Fr Hilario “Yayong” Lim, who demanded reforms from the UP administration in the early to mid-1960s. Apart from Fr Max de Mesa and Fr Hagad from Jolo, there was also ex-priest Louie Jalandoni. We shared the same cell with Ignacio Lacsina, head of the labor group National Association of Trade Unions (NATU), as well as Moro National Liberation Front (MNLF) commander Taguranao Macapaar alias Commander James Bond. The other political prisoners included the convicted Partido Komunista ng Pilipinas/Hukbong Mapagpalaya ng Bayan (HMB) leaders. Among them were Jesus Lava, PKP Secretary General; Casto “GY” Alejandrino, HMB Supremo; Peregrino Taruc, a leading PKP member; and legendary Huk Commander Linda Bie. Commander Sumulong, who led the remnants of the Huks in the early 1960s who were said to have resorted to banditry as the revolutionary movement went on the decline, was also detained there. The common criminals included two suspected bombers of Joe’s Department Store along Carriedo St in Quiapo/Sta Cruz. The bombing incident was among those cited by the Marcos government for the suspension of the Writ of Habeas Corpus in August 1971. The common criminals belonging to different criminal syndicates were kept in the bartolina. It was in the YRC bartolina that the poet Amado V. Hernandez wrote his famous poem, “Isang Dipang Langit” (literally, a square foot of sky visible from his bartolina) in the late 1950s. After the morning roll call, we had breakfast consisting of weak brewed coffee and pan de sal and sometimes porridge made of bulgur, a cereal also fed to school-age kids in public schools at the time. Lunch and dinner consisted mostly of rice and vegetables, with the main dish consisting mostly of fish cooked paksiw style or else the lesser cuts of pork that we found very unpalatable. We supplemented our meals with a vegetable – alugbati – said to be rich in vitamins and minerals, which we planted inside the prison grounds. The Natdem detainees engaged in various handicrafts, such as card-making, to keep ourselves busy and earn some money which were then used to help those who were really financially hard up and to supplement the daily meals, or rancho, which left much to be desired. The detainees built what was called the kubol, or blankets around the tarima, or metal double-deck beds, that gave some measure of privacy. The kubol also served as secret meeting places, especially at night. There were also regular basketball tournaments and other sports activities, sometimes in competition with the criminal elements. Sister Cecille from St Paul College visited the political detainees every week. She helped in the marketing of the handicrafts which we produced. Three female psychologists from the AFP Civil Relations Service came regularly to monitor our psychological condition. Lyn, Hermie, and Stella gave us survey forms to fill up from time to time, apparently to determine whether we had been sufficiently “rehabilitated” and ready to be released from detention. There were also film showings. Leoncio recalls that one of the films shown was about a prison escape. What I can recall is that Goldie Hawn starred in one of those films we watched at YRC. Sergeant Solito did the late evening roll call along with Sergeant Madriaga. Portly Sergeant Manes supervised the cooking of food for breakfast, lunch, and dinner. While under detention, the militants, who were uniformly charged with either violation of RA 1600, or the Anti-Subversion Law, or the more serious one, rebellion, did not take their indefinite incarceration sitting down. In late 1973 and early 1974, radical activists detained at YRC hatched a plan to escape from detention. The political and ideological rationale of the escape plan was clear and straightforward: revolutionaries in prison cannot do much to advance the cause, which was the seizure of state power through the barrel of the gun, or through the use of force. Hence, imprisoned comrades had to do everything – and anything – to get out of prison so they could rejoin the revolutionary mainstream. Escape from prison was the central task, or CT for short, that the YRC detainees, in close consultation with the underground leadership outside, concluded was what all detained comrades should strive to accomplish. The central task did not preclude the possibility, however, that some comrades, because of their level of involvement in the movement, could be released sooner or later. Still, they were a component part of the CT, as they could perform support tasks. The detainees were organized into a NPA special detachment based on the central task. All those considered bonafide members of the underground based on their tasks before their arrest and their clean record during arrest and detention – that is, they did not squeal on their comrades – were considered part of the NPA special detachment. Plan A called for overpowering the prison guards in a bold and daring escape, with outside help. To prepare for this, the detainees started martial arts training, firearms handling (a few handguns were smuggled inside prison) and intelligence gathering. The plan was later aborted as too risky and quite possibly bloody if carried out. How could the poorly armed political prisoners have fared with a platoon of prison guards with armalites who could have mowed them down? Plan B was to scale the prison walls and if discovered, comrades would blast a hole through the wall with dynamite through which the detainees would sneak out. Plan C was to dig a tunnel from the prison yard past the wall and into the main street where there would be a back-up force to retrieve those breaking out of prison. Plan C was deemed the more doable option as this posed lesser risk to the security of the detainees, although this was likely to take more time and preparations. To put Plan C into operation, the political detainees suggested to prison authorities that a garbage pit be built next to the perimeter wall at the side of the camp. This was justified as necessary so that daily garbage could be conveniently disposed of. But the ulterior motive was to determine the soil composition and how long it could take to dig a tunnel large enough to accommodate those who were considered leaders and had little hope of early release. The tunnel was a top-secret operation, with the details limited only to the top prison leaders. But informants now say that at least 4 detainees took part in the actual tunneling. Dimatulac was the natural leader of the tunneling operation as he was already a Death Row prisoner at the time. In other words, he had nothing to lose and everything to gain if the escape plan came to a successful conclusion. Dimatulac was arrested on June 10, 1970 for the murder of a certain Carlos Balanditan and later sentenced by the court to die in the electric chair. Two other members of his NPA unit, Fer Borja and Reynaldo Galang, were arrested along with him. Dimatulac was assisted in the tunneling operation by Apung Barre, a former Huk commander; Mario Delica, or “Kabayan,” a former member of the technical Staff of the CPP leadership, and Philip Limjoco, an activist from Kamuning in Quezon City. The tunnel started from the garbage pit dug near the wall. Entry to the tunnel opening was via a trap door in the garbage pit. The political prisoners built a pondahan, or makeshift store around a large aratiles tree near the main entrance of YRC. This was also the place where the tunnel diggers drew their electrical supply for the electric fans needed for them to breathe once they were actually digging the tunnel. The soil removed from the tunnel was surreptitiously spread out in various areas in the prison yard, such as the garden where the detainees planted vegetables. Dimatulac recalls that the tunneling crew faced extreme difficulties while working on the tunnel. For one thing, they had to deal with earthworms that burrowed underground. The worms clung to their bodies as they dug deeper underneath. Sometimes, Dimatulac says, they even had to postpone work as they tried to remove the worms that crept on their bodies. In not a few occasions, according to Dimatulac, they also had to cope with unexpected flooding of the tunnel from monsoon rains. Because of the cramped conditions in digging the tunnel, Dimatulac now says he nearly drowned when a sudden gush of flood water from heavy rain outside mixed with foul-smelling garbage came rushing in. The tunnel had reached a length of about 8 to 10 feet, Dimatulac revealed. The tunnel was about a meter wide and two-and-a-half meters in height, enough for an average-sized individual to walk through in a crouching position. After weeks of tunneling, they thought they were nearing the prison walls. They mistakenly believed they were already outside the prison, and worked feverishly to dig a hole upwards, not knowing that they were actually digging underneath the military barracks. That was the sound that the soldiers in the barracks heard in late 1974. Dimatulac says they worked feverishly on the tunnel project for about two months. According to Fluellen, the escape plan was funded in part by proceeds from the sale of ex-priest Louie Jalandoni’s share of inheritance from his landed family’s vast landholdings in Negros island. Meanwhile, the Natdem detainees tried to project to prison authorities a semblance of normalcy and kept to their daily routines. My assignment in the escape plan was to undertake intelligence work. I was to monitor the shifting of prison guards at various times, from morning to afternoon and evening. I wrote my intelligence reports in barely readable small letters in cigarette tinfoil, or palara, so it could be passed on discreetly to others who were part of the plot. Later, however, the prison leaders decided that those with big chances of getting released soon, including myself, would be left behind if the escape plan was actually carried out. As the escape plan was being ironed out, Tony Robles conducted trainings in judo and other martial arts during daytime. At night, he trained those who knew about the plot in handling small firearms. One bright day in October 1974, as the detainees assembled in front of the prison yard for the daily roll-call, the main gate at the administration office opened and a solid phalanx of military police or MPs in dark uniforms and armed with long rattan sticks streamed inside. We knew right there and then that the escape plan had been discovered. We tried to keep our composure even as we steeled ourselves for dire consequences, including solitary confinement and even torture. We were told to move to the basketball court at the side of the prison facing the main road to Makati. There, we were ordered to take off our shirts and put them in a pile in front of us. The MPs at this point kept a distance but watched us very closely, and did not frisk everyone for weapons. Those of us who had firearms at this time discreetly hid them under the pile of clothes. Inside the cells, other military personnel were already ransacking the rows of tarima or metal beds of the detainees to search for any evidence of the planned mass escape. They literally turned the place upside down. Later that day, we learned that as a result of the raid on the detention facility, the military found at least 11 small firearms consisting of .45 caliber pistols and .38 caliber revolvers, two grenades, various ammunition and about 100 sticks of dynamite inside the cells and in the prison yard. Also seized were assorted bladed weapons, maps, manuals on the use of small arms and the manufacture of improvised explosives. About P70,000 in cash was also confiscated from Leoncio Co, but only about P10,000 was reported to have been found during the search and seizure operation. Former NPA member Fer Borja recalls that he personally witnessed 3 cans of Nido milk filled with dynamite sticks being sealed shut. The dynamite sticks were supposed to be used as part of contingency measures during the actual escape. These were eventually discovered by prison guards. Prison authorities immediately ordered a lockdown. All detainees were held incommunicado for at least two weeks, with all visitors barred from entering the prison. They closed down the escape tunnel and interrogated those whom they believed were the leaders of the break-out. When the military discovered the mass escape plan, they imposed tight restrictions at YRC and immediately separated the known leaders from the rest and interrogated them. Tony Robles was pinpointed as one of the leaders. It is said that at the Military Police headquarters near YRC, he was put inside a filing cabinet and his interrogators banged the cabinet repeatedly in an attempt to break him down and make him reveal the extent of his participation in the escape plan. I was told he suffered a nervous breakdown afterwards. Apung Barre also suffered the same fate. Afterward, he would jokingly be called “Ka Binet” by some of his close friends. Fluellen was also interrogated at length by the military for his role in the aborted escape plan. The details of what happened later on remain hazy today. All I remember is that my parents were able to visit me only after two weeks. Two months later, I was released from YRC. That was on Dec 16, 1974, as part of a mass release of political prisoners. It appears that the mass release was part of an effort by the Marcos regime to enhance its image before the international community that, at the time, was already raising a ruckus over what they perceived as blatant human rights violations by martial law authorities. The discovery of the escape plan was a big setback for the resistance movement. If the escape had been carried out successfully, it would have been a big political and propaganda victory for the movement at the height of Martial Law. Many of those confined at YRC were leaders of the underground movement and could have immediately returned to revolutionary work even as they would have been in the crosshairs of the military as fugitives from justice. With the escape plan aborted, prison authorities tightened restrictions on the political detainees who later resorted to hunger strikes in protest against the restrictions. The military closed down YRC afterwards. The remaining detainees were transferred to Bicutan in 1977. The 63 or so radical leaders charged with subversion under RA 1700 were sentenced by Military Tribunal No. 6 to 10 years in prison. As many had been in prison for many years already, the longtime detainees were released after the 1986 People Power Revolution and the restoration of democracy. 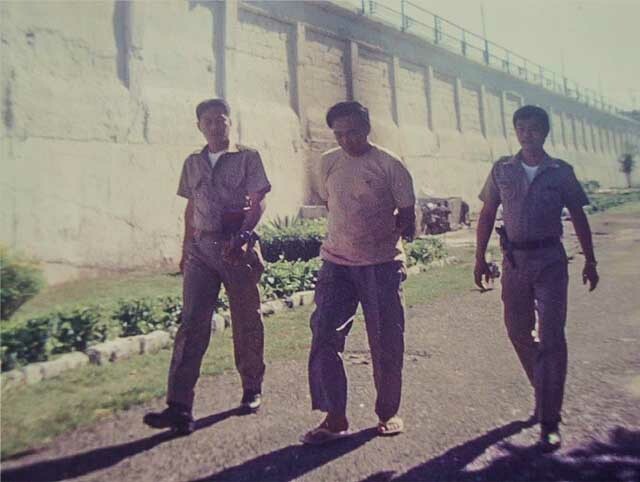 Nilo Tayag pleaded guilty to the charge of subversion – the only one to do so – and was released in 1982 after a little over 10 years in prison. Nonie Villanueva died in the early 1980s from tuberculosis. Abelardo Hurtada, the head of the NPA special detachment, also died from natural causes a few years after his release. Rey Vea went on to study Naval Engineering at the Massachusetts Institute of Technology and later became Dean of the UP College of Engineering. He is now the president of Mapua University. Romulo Kintanar, (a living-out detainee at the Military Police HQ who was allowed to enter the YRC every day since his relative, Colonel Galileo Kintanar, was with the AFP Intelligence Service), later became the NPA “Punong Kumander” after Bernabe Buscayno or Kumander Dante decided to return to normal life after release from prison in 1986. Kintanar was assassinated in broad daylight not too long ago by a gunman apparently on orders of the CPP who did not take kindly to his “adventurist” activities as head of the Military Commission. Philip Limjoco is believed to have later killed several “renegade” leaders of the CPP, including Kintanar, and was reported to have been arrested and summarily executed by the military a few years ago. Nilo dela Cruz, aka Mario Saldaña, kept a low profile while detained at YRC but later emerged as head of the Alex Boncayao Brigade, or Sparrow Unit, the liquidation squad of the CPP under the direction of Popoy Lagman, who led the Manila-Rizal Regional Party Committee in the 1980s but was assassinated after a falling out with the mainstream CPP leadership. Louie Jalandoni from Negros later emerged as the chief negotiator of the National Democratic Front in peace talks with the government. Today, some of the YRC political detainees have already passed on, while a few still carry on the revolutionary struggle despite their advanced years. But many have already moved on with their lives and rejoined the mainstream of society, raised their own families, and pursued careers in both government and the private sector. Others preferred to work in institutions that later formed part of what we now know as civil society. For those detained at YRC at the time, the 1974 mass escape plan was a defining moment in our lives, as it offered a choice between prolonged detention and freedom to do our share in reshaping Philippine society. Many of us were in the prime of youth then, and the possibility of escape offered a means to prove ourselves as genuine revolutionaries. Events beyond our control, however, doomed the escape plan at a time when preparations were already in the advanced stages.